Once you have found the dream wedding gown, a new task arises: making sure that the rest of your ensemble compliments your dress. While some women may automatically think of the shoes next, I tend to think about the hair. As a part of our personal style and who we are, how you choose to wear your hair on your special day makes a statement. Even more important is what you choose to wear or not to wear in your hair. Since I don't want to leave you making this decision all alone, here are a few ways for you to tackle your bridal hair accessory options. Bling, bling and more bling! 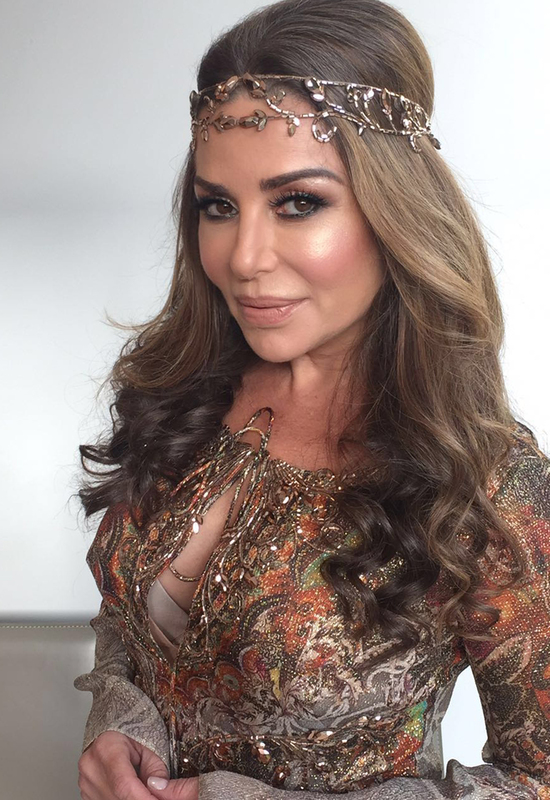 Since Pnina Tornai is the Queen of Bling, there is no shortage of crystal headbands within the Pnina Tornai Accessory Line. Perfect for brides looking to spruce up a simple gown or even add more bling to their already dazzling attire, these crystal headbands are sure to add that wow factor to your wedding day hairstyle. Since they draw attention up around your face, that time that you patiently sat in the hair and makeup chair will be totally worth it. There is more than one way to grab attention with your hairpiece. 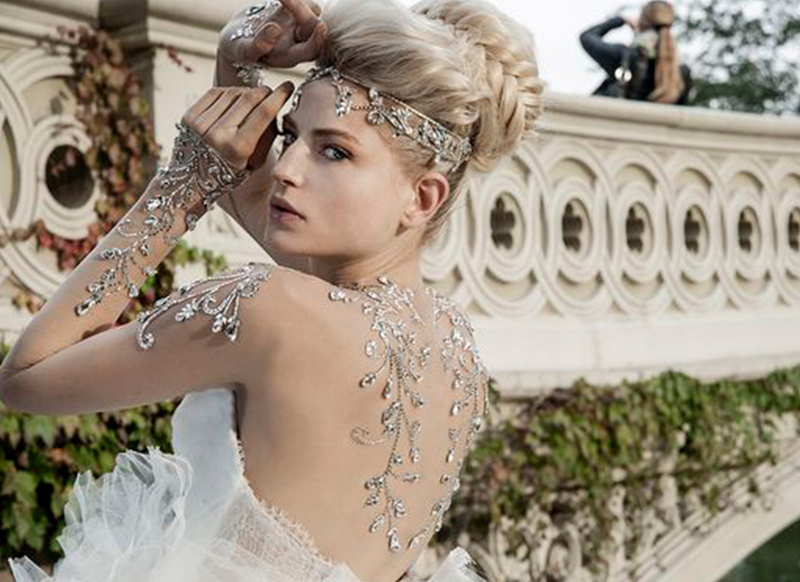 Instead of wearing a crystal headband, feel free to opt for a dramatic headpiece with some flare. Something with lots of tulle or an intricate design is a great way to take your whole bridal look up a notch. With a stand out headpiece, there is no doubt that all eyes will be on you on your special day. Lastly, you can go the bohemian route with a whimsical floral headband. Pair it with your seductive Pnina Tornai gown and you've got the ideal mix of sweet and alluring. 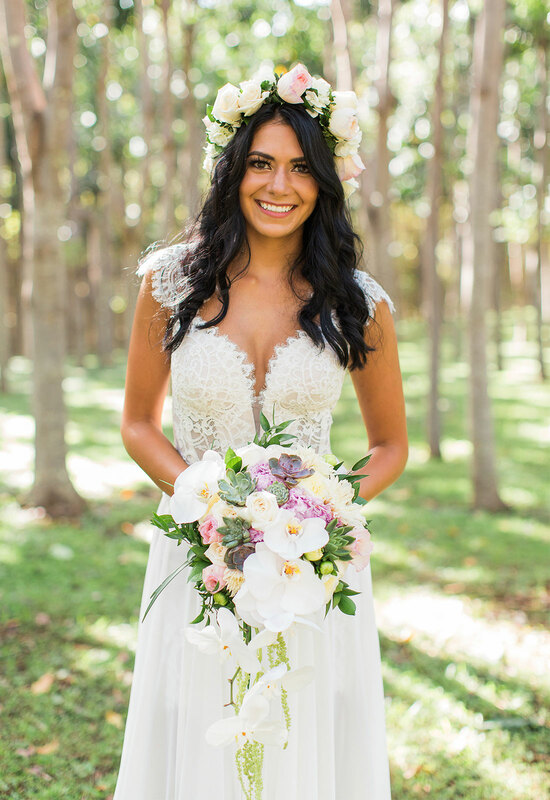 Great for a tropical destination affair or a casual and romantic garden wedding, a real floral headband would look wonderful with your stunning gown and loose beachy curls. How you accessorize your wedding dress can make or break how well your whole look comes together on your big day. While the obvious bridal accessories such as necklaces, earrings and bracelets may come to mind first, make sure that you do not forget about your hair. From a simple crystal barrette to an over the top headpiece with all the bells and whistles, remember that what you choose says something about your personal style. I wonder what yours will say about you!